Herbalife programmes are all about structured, balanced nutrition. Make sure you are eating enough protein to help your muscles burn the fat. Replace high fat, high calorie, high sugar, low nutrition foods with nutritionally dense foods such as the Formula 1 Nutritional Shake Mix and meal bars. If you don’t maintain good levels of macro and micro nutrients, you may find you are never satisfied after eating, or still lack energy, making you reach for products such as sugary drinks, biscuits or other unhealthy snacks. These foods can cause an energy spike (rise in blood sugar) followed by an energy crash (fall in blood sugar), which leads to further fatigue and hunger. It’s not just about counting calories it’s about balanced nutrition. Herbal Vitality - Our success at helping clients to is due to fantastic Herbalife products, personalised programmes and on-going aftercare. We have over 15 years experience in preparing programmes for individual clients i.e. men, women, vegetarians, diabetics and those with low energy levels etc. Get a personalised programme from Herbal Vitality that's an ideal number of calories per shake based on your height and weight and activity level. That includes your recommended daily protein intake and resting and active metabolic rates. Men, for example, require a higher protein prescription than women and taller people more protein. Another example is sports people looking to lose weight, where the programme needs to be adjusted, depending on the intensity of exercise. Getting the personalisation right means the programme is easy to follow over a sustained period. We also personalise sports diet programmes, that is fuelling, hydration, refuelling, repair and recovery. And prepare programmes for weight gainers. For weight control we may require nutrition that: Is calorie controlled, providing a balance of nutrients without excess calories. Has good levels of protein and fibre to help us feel fuller for longer. Helps to regulate energy levels to avoid the energy peaks and troughs that can lead to unhealthy diet choices and poor nutrition. Start each day with a healthy breakfast and try to eat 4-5 smaller meals a day. For a busy active lifestyle we may require a nutritional plan that: Helps maintain energy through the day with the right amount of energy sustaining carbohydrates Provides a complete but simple meal solution to avoid missing key nutrients or reaching for less healthy options. Starts the day with breakfast to provide energy until lunch and avoid unhealthy snacking. A physically active lifestyle or professional sports person may require a nutritional plan that: Provides additional good quality calories and nutrients to replace those used or depleted in exercise. Offers sustained energy and effective hydration to fuel performance. Provides good quality protein to build and repair muscle and aid recovery. Provides complex carbohydrates for slow and quick energy release. How to get started? And next steps? 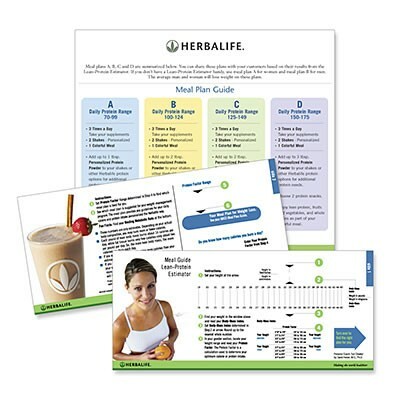 Order the Quick Start Programme, or Wellness or other programmes. Add the Thermojetics beverage to your programme for extra vitality and as an alternative to fizzy drinks such as diet cola and to cut back on your intake of coffee. Read success stories to understand the WOW factor taking these products. Add a starter pack to your order to help you use the products, when out of the home. NEW "Tips by Email", provided by Herbal Vitality - we will guide you at different stages of the programme with tips by email i.e. day 4, day 7, day 14 to ensure that you get off to a fast start and achieve your weight loss goals. Access to a Personal Wellness Coach as a personal support network, there to help you make the best product choices, answer your questions and assist you step-by-step on your journey to total well-being. Monitor your progress by taking your measurements (waist, thigh, hips, bust) and your weight, weekly or bi-weekly. Body Composition Monitors are also a very useful tool and much better than bathroom scales. So if you are thinking of getting new scales then take a look at the features of the Tanita monitor and then you have more information to review your progress. See what should be up and what should be down!